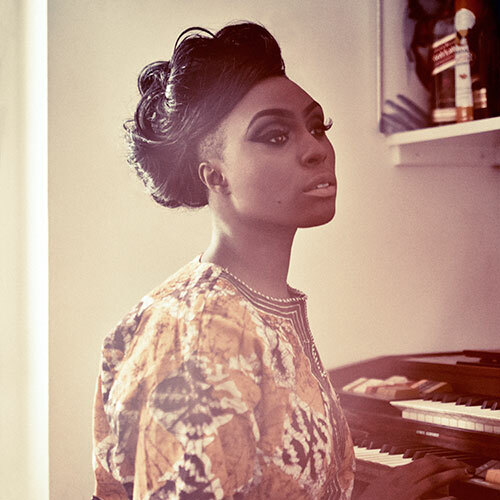 After an astonishing year, 2014 saw Laura nominated for two BRIT Awards (British Female Solo Artist and British Breakthrough Act), shortlisted for the Mercury prize and receiving a nomination for the Album Award at the recent Ivor Novello Awards, Laura Mvula returns with a new recording of her Top Ten debut album, ‘Sing To The Moon’. Recorded at London’s legendary Abbey Road Studios with the Dutch Metropole Orkest (the largest full-time orchestra of its kind in the world) and led by conductor Jules Buckley, the album contains new arrangements of all twelve tracks on the original version and will be released through RCA Victor (Sony). Laura and Jules first worked together at last year’s Urban Proms with a performance that stunned and amazed. Following the outstanding reaction from the show, long time fans, B&W decided to work alongside Laura and the Metropole Orkest to re-record this album. 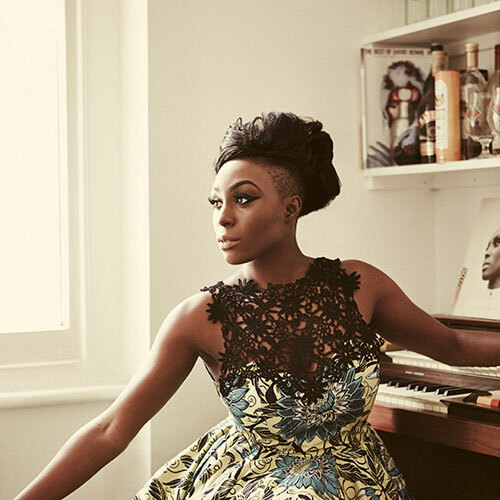 Described as “The voice of 2013” by The Evening Standard, the singer- songwriter’s music fuses orchestral soul, poetic lyrics and thrilling harmonies. Her voice, layered with velvety lushness, is a one-woman symphony - a match made in heaven for the power and talent of the 52 strong orchestra. These new arrangements send Laura’s ambitious and stunning debut to new heights, paying tribute to her classical training. Since announcing the release of her debut EP back in November 2012, Laura has been picking up critical acclaim and support from some of the biggest tastemakers out there. Laura's unique sound has entranced critics, leading to her album being hailed as “One of the most striking and original debuts from any British artist in many a year.” by the Telegraph. Catapulted into the limelight following the release of ‘Sing To The Moon’ last year, Laura is graduate from the Birmingham Conservatoire with a degree in composition and started writing songs on her laptop while working as a supply teacher in a Birmingham secondary school. As one of the most exciting new musical talents to come out of the UK, this young lady deserves every bit of attention she gets. As Clash magazine say, “Beautiful in voice and soul, lift your eyes skyward and watch this girl soar”.